Canberra’s inflation rate has risen by 0.6 per cent in the March quarter this year, with householders paying more for petrol, medical services and child care. Australian Bureau of Statistics figures released yesterday show that the national consumer price index rose by 0.5 per cent in the March quarter and by 2.1 per cent in the year to March 31. This is the first time in two years that the annual inflation rate has crept above two per cent. Canberra had the third biggest percentage increase over the previous quarter (0.6 per cent), following Melbourne (0.9 per cent) and Hobart (0.8 per cent). There were CPI increases in all capital cities except Darwin (-0.1 per cent) and Perth, which recorded no movement. 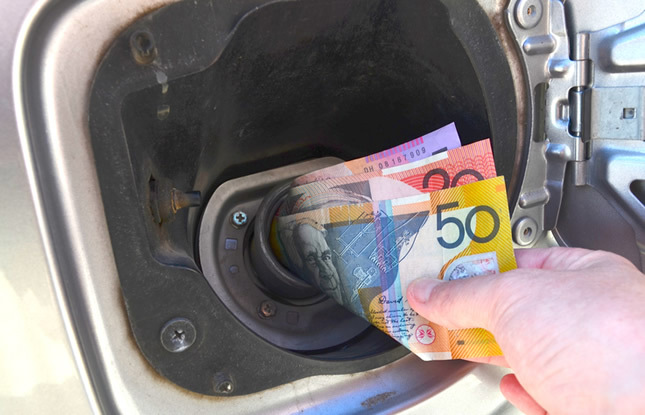 The biggest contributor to Canberra’s increased inflation was a rise of 8.5 per cent in automotive fuel costs caused by increases in world oil prices. The cost of Canberra’s medical and hospital services also played a part, increasing by 2.9 per cent in the quarter. Child care was the third biggest factor, increasing by 2.6 per cent. These rises were partially offset in Canberra by a 5.6 per cent fall in the cost of fruit, a 4.2 per cent fall in the cost of furniture and a 3.8 per cent reduction in the cost of international holiday travel and accommodation. Australia’s inflation rate of 2.1 per cent in the year to March is within the Reserve Bank of Australia’s target band of 2-3 per cent. However, economists predict that it is unlikely to lead to an increase in official interest rates because of the softness in underlying inflation. ACT Government rates are a significant component of our yearly home expenditure and have risen by 7.2%, 11.5%, 12.0% and 10.9% in each of the last four years. As general rate increases impact on all Canberra property owners, I would expect the Canberra CPI figure would have been a lot less than other states, had it not been for the residential rates increases imposed by the ACT Government on all Canberra households, far in excess of council rates increases elsewhere, the CPI, wage rises and irrespective of household income or capacity to pay. A way to reduce the cost of petrol would be to force the ACT government to make all their fleet of car either fully electric or hydrogen/electric. That way the cost for people to buy the same sort of vehicle would be more obtainable and those supplying petrol/lpg/diesel will have to charge less or lose even more customers. So Government when are you going to mandate ALL your fleet, within a renewal cycle of 3 years, to be powered this way so all of us constituents can benefits? Haven’t you seen all the new hydrogen cars cruising around Canberra? When I moved here 4 years ago I was shocked about how expensive this place is – everything: electricity, gas, telecomms, hairdressers, doctors, dentists, beauticians (yes, a luxury I know but rarely go now because of cost), coffee (which is served lukewarm – huh? ), tradesmen, petrol (worst planned city in my opinion – Canberra props up the petrol industry), you don’t know how much you are being ripped off until you have lived elsewhere. Canberras electricity and gas are some of if not the lowest in the country. We do of course generally use more in winter to heat houses but that’s a different argument. And telecoms? There is no local surcharges or price difference for any telecom charge that I know of. One industry that is truly national. We still pay the ACT Government a Utilities (Network Facilities) Tax on the infrastructure of utility companies, including Telstra which was imposed by the Stanhope Labor government in 2007. I think we are the only territory/state that pays this sort of thing, plus all those nebulous levies on our rates bills. Good point. However doesn’t change fact power and gas us still cheaper than elsewhere. And with telecoms the only company who has passed on the network tax directly to me was Telstra on my now non existant land line. My current ((NBN) delivered VoIP service doesn’t pass on the cost nor does my internet provider or my mobile phone provider. It is still paid by NBN as the network owner but cost no additional cost to ACT customers. And telecoms? There is no local surcharges or price difference for any telecom charge that I know of. One industry that is truely national. I have just been quoted over $1,000 to have a solar panel array connected to the local grid. The cost in Sydney or Melbourne is less than half this. A solar HWS costs one third more in Canberra than Sydney. Installation costs twice as much. Canberra was a nice place 20 years ago to live but pump-priming the economy has a cost. Anyone now earning less that $50K pa here is on the poverty line. You post reminds me of when I lived in Sydney 20 years ago. To start with my employer put me up in Potts Point. So one state of origin night I went to the bottle shop in Double Bay to get a slab of beer and it was about 25% dearer than I was used to. I asked why and was told you are in Double Bay sir. Even Woolworths was more expensive in Double Bay. Point being companies will charge what they believe the market will pay. Canberra has always been more expensive, I don’t like it that’s for sure but not really much you can do except shop around and go interstate if it is cheaper or use that as a bargaining tool and send a price point message to local business. Petrol will always be more expensive here because you’re all well paid and enjoy the sound of a wide open throttle. Any shopkeeper who sells an essential product will bite you for whatever they can get. I’ve certainly seen no sign the price is so high Canberrans are driving more economically, even the coal-powered Prius fang around like F1 racecars. And there’s no surprise anything subject to overweening government regulation and trade union capture is getting dearer and everything else sold by hundreds of competing small shops is getting cheaper. BTW, those small shops are getting smaller in number. Some of these comments strike me as a bit odd – the ACT has the cheapest electricity in the country, for instance. Our petrol prices are now regularly roughly on par with Sydney prices. https://www.mynrma.com.au/about/latest-weekly-fuel-report.htm. I am certainly relieved that furniture and holidays are cheaper, to offset the cost of fuel. If only I had extra cash to splurge on these day-to-day items, but it has all gone into bills. As for fuel, a 10c per litre variance across town whilst still being 10c per litre more expensive than small nearby towns in NSW has no logical explanation except price gouging by operators. But, regardless of all the talk by government and tha ACCC, nothing ever changes. That is hardly a surprise to locals who are continually frustrated at not being listened to. Moving here from Melbourne I was shocked to find you can’t just call a doctor’s office near your house, (no new patients is a thing?) make a same day appointment, and go for free! I had no idea only people living in ‘cities’ had the privilege of that! I guess it depends where you live in Canberra. In Belconnen, there are many choices of Doctor’s surgery from fully bulk billed, annual subscription or Medicare rebated. The new Child Care Subsidy: will it help or hurt?